When you’re serious about camping, hiking, mountain climbing, and other intense outdoor activities, you need a sleeping bag that’s as strong as you are. You should be able to sleep comfortably regardless of the temperature, unpleasant snow storms and tough ground. So how do you know which one is the best? Don’t just challenge yourself, challenge your equipment too. Take the time to review some of the criteria below, and always test your sleeping bag before taking it on a long trip. 100% satisfaction guarantee, you can return this product any time if it doesn’t meet your standards. Great for year round use! There are additional pockets included for storing important items such as keys, wallet, phone, etc. What should I look for in a backpacking sleeping bag? Rating– The rating of a bag measures how low the temperature can get before you start to feel cold, so get one that works for 40 degrees Fahrenheit or below. If it gets too warm you can take layers off, but you can only put so many on when you’re on the road. Moisture Resistance– Unless you’re camping out in the dessert, you need a sleeping bag that won’t soak up water from rain, snow, or morning dew and humidity. Some brands add a water resistant outer shell that does not allow the elements to penetrate the soft inner filling. Size Matters-The dimensions of your sleeping bag could make or break your experience. Especially with mummy bags, purchasing the wrong size can mean trying to squeeze into it later. It’s better to go up if you aren’t 100% sure you’ll be able to zip it up right away. Material-Do you have allergies? Do you have difficulty sleeping on fabrics that aren’t very soft? Are you a light sleeper? Some materials can be particularly noisy when you shift in your sleep. Polyester is the most common and popular type of material because it’s strong, warm, weather resistant and high quality. Goose down is also a naturally warm and water resistant material, but you can’t put it in a washing machine. Are You Vegan?– Many of the best sleeping bags use goose down as a filling for warmth, as feathers repel water and retain heat. This can be an issue for people who enjoy nature, but don’t use animal products. However, you can find bags that contain polyester as a substitute. For those who are fine with using “cruelty-free” products, some companies offer sleeping bags that operate under humane practices. This means that no geese are harmed during feather harvesting. Does Color Make a Difference?– Surprisingly, the color of your sleeping bag can be just as important as the temperature rating. If you’re hunting, you obviously won’t want to be seen carrying a big fluorescent sleeping bag. However, for people who just enjoy a long walk in the woods, you should definitely be looking for brighter colors. If something happens and you’re lost or injured, the color of your sleeping bag can help save your life. Can You Return It?– Like most products, sleeping bags might occasionally end up with a snag or tear in the seam. Zippers break and mishaps can occur, and heavy duty sleeping bags aren’t cheap. Do yourself a favor and make sure that your purchase comes with a warranty and check the return policy. Keep your receipt and the original packaging, this will help to ensure that if something does go wrong, you can get your money back! Versatility– How much do you plan to get out of your sleeping bag? If you’re camping with your spouse, it might not be very pleasant to have them sleeping so far away from you in a separate bag. Or, if you hate having your feet covered at night, a bag that doesn’t open at the bottom won’t be very comfortable. When you fall into these categories, you’ll need a sleeping bag with 2 or 3 zippers. Why? Well, there are plenty of brands out there that offer perks, like being able to zip up to bags together. This means you can easily sleep next to your kids, your spouse, your pets, or whoever might be accompanying you on your trip. Is it machine washable?– One of the most aggravating thing about sleeping bags is how to go about keeping them clean! Most of the time, you can throw them in the washing machine with some cold water and dry them on low. However, not all bags work this way, and washing them in a machine can permanently damage the inner lining that keeps you warm. If you expect to be using your sleeping bag in dirt, rain, or other instances where it will be easily soiled, make sure you can wash it without ruining the material. What are your top 10 sleeping bag options? Where do you go from here? 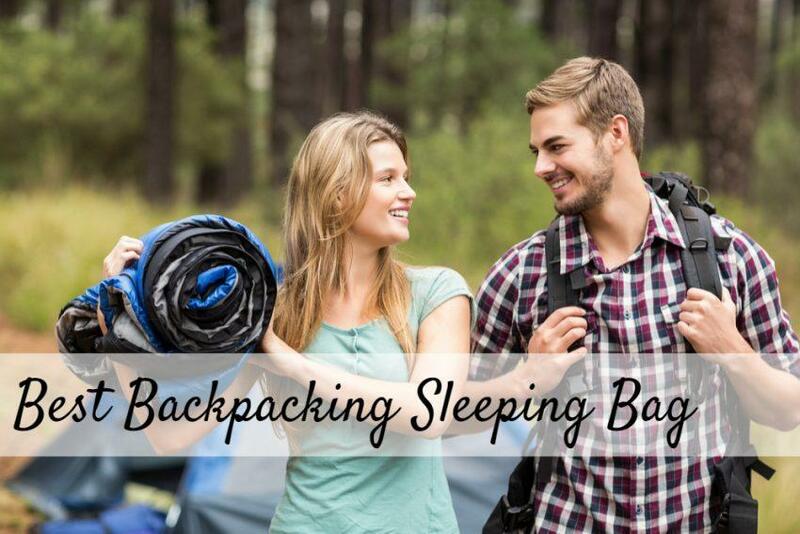 There are hundreds of different sleeping bags, brands, and features out there. It can be incredibly difficult and confusing to choose which one, but it doesn’t have to be that way! The sleeping bags below are of the highest quality, and work well for just about anybody. With one of the best mummy bags available, the Winner Outfitters brand offers this item in orange, blue, and gray, so you can decide which one is best for your travels. The 350T Polyester material provides a soft, comfortable place to lay your head while the outer coating keeps you dry and toasty. The Hollow Fiber filling enhances warmth in 35 to 40 degree weather and is environmentally friendly as well! This sleeping bag is 32 by 87 by 4 inches, from shoulders to feet and it is machine washable. This mummy bag is made from 100% polyester and is made for extremely cold temperatures of 0 degrees Fahrenheit. Unlike many other mummy bags, the Coleman brand caters to those of a larger stature and provides plenty of extra space. The draw string hood will protect your face and ears from icy winds and frostbite. This sleeping bag has dimensions of 32 by 82 and is machine washable. Although the size can be a bit of a turn-off, you sacrifice quality by taking shortcuts. 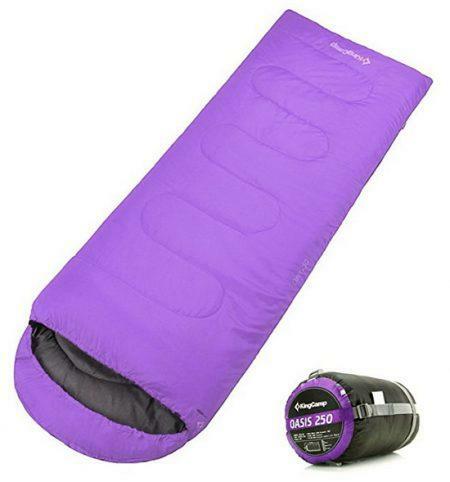 Stay warm anytime, anywhere with the effective Coleman North Rim Adult Mummy Sleeping Bag. Available in both green and red, the Teton Sports Tracker is heavy duty and reliable. 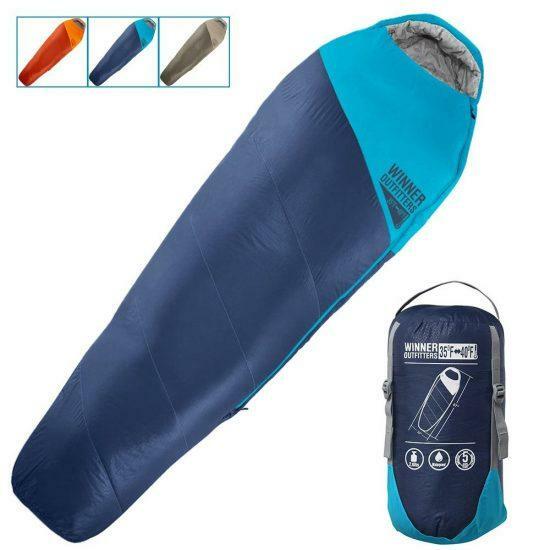 Unlike other designs, this sleeping bag has a “footbox” with added insulation to protect your toes from the cold. With Ripstop technology, polyester lining, and Teton’s own PolarLite Insulation filling, there’s no doubt you’ll be warm and dry in this sleeping bag. Even with a zipper issue here and there, the Teton Sports Tracker Mummy Sleeping Bag has excellent heat retention and is light weight. The bright color is useful for emergency situations in which you may need to be rescued by helicopter or if you need to be seen by a search team off in the distance. Out of all the features of this sleeping bag, safety is the most important one! Mummy bags aren’t for everyone, especially if you’re claustrophobic or wide in the shoulders. Thankfully Abco Technology has created a sleeping bag that provides plenty of wiggle room, while keeping you warm and dry at the same time with a rating of 20 degrees Fahrenheit. The Envelope is made from polyester, has a completely water proof lining, and includes a compression sack! 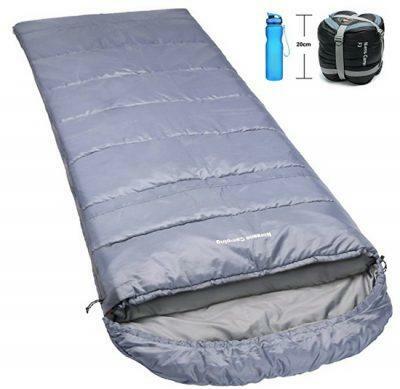 This sleeping bag is machine washable and has dimensions of 25.5 inches by 86.5 inches. The company also offers a 100% risk-free satisfaction guarantee, so if you aren’t completely satisfied, they’ll refund your money or offer an exchange. One of the best products out there, the MicKinley sleeping bag has specialized 7 Denier TechLoft Silver Insulation that is unique to other brands. There is a double layer of padding around the chest, and the hood is curved to help protect your neck and face. The flannel lining and cotton exterior is incredibly comfortable and soft. 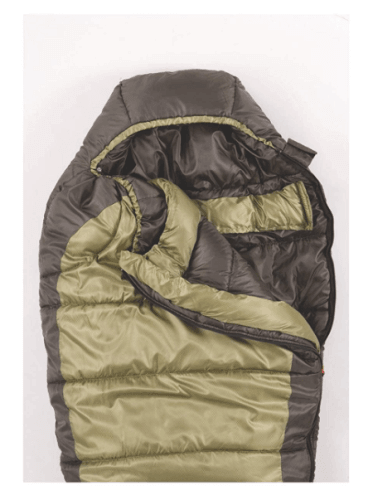 The McKinley 0 Degree sleeping bag has dimensions of 36 inches by 90 inches and weighs about 8 pounds. This product might not be the best if you enjoy walking and trekking over a few days or weeks at a time. However, if you have a campsite that you’ll be returning to in the evening, or if you bring your truck, this sleeping bag will keep you warm all night! This bright, super comfy, and specially built sleeping bag is perfect for use any time of year! The King Camp envelope has the ability to withstand temperatures of 26 degrees Fahrenheit and above. It also comes in 11 beautiful, flamboyant colors so that if you are ever lost, you can easily be found by rescuers. The 190T Polyester fabric is soft to the touch and won’t cling to your skin or pajamas. This sleeping bag has dimensions of 29.5 inches by 74.8 inches by 11.8 inches and weighs about 3 pounds. The company advertises the King Camp Envelope as a 4 season bag, however it’s best to use it for 50 degree weather and up, for lower temperatures you may need to bring an extra blanket. If you’re looking for a sleeping bag with lots of leg room and space to breathe, the Travel by Outdoorsman Lab is the product for you. This awesome bag unzips at the bottom for those who enjoy a draft as they sleep. The 210T polyester fabric is cozy, and includes an integrated pillow for extra cushion! This versatile sleeping bag has dimensions of 8 inches by 8 inches by 15 inches and weighs about 3 pounds. You’ll be happy with this product, but even if you aren’t, you can always return or exchange it thanks to the 90 day guarantee. Give it a try! This water resistant sleeping bag has extreme weather capabilities for even the most intense campers. You’ll have plenty of extra length for comfort, and still be able to store it quickly and easily. The Anti-Pitch zipper design will prevent snags and tears while you pack it in for the night. This bag has a tight seal that doesn’t allow cold wind to flow through it. This sleeping bag has dimensions of 32.6 inches by 90.5 inches by 2.8 inches, weighs around 2.47 pounds, and is machine washable. You’ll never have to worry about this bag getting too heavy, you can hike for miles and never notice it’s there! The Norsens brand is a favorite, and loved by many! You’ll be happy to know that this sleeping bags comes in not only a wide variety of colors, but Farland also provides extra contouring for those who like the mummy shape, but don’t like the tight fit. This sleeping bag is an in-betweener, plenty of room to move your legs and feet, but tight enough to keep you warm and snug without feeling like you’re suffocating. Made for super cold weather, this bag is advertised at 20 degrees Fahrenheit and up. The 290T polyester material provides plenty of cushioning and is water resistant. While other sleeping bags seem to have more than just one issue, the only problem with this one is the zipper. This issue is common with most sleeping bags, but this product has an otherwise sterling reputation! You’ll sleep like a baby and stay warm all night long, to avoid air seeping in consider getting zipper locks to keep your bag sealed. The Honest Outfitters sleeping bag is designed with a soft, water resistant polyester material. The hood includes draw strings that tighten around your neck and face to protect you from the elements. The best perk? 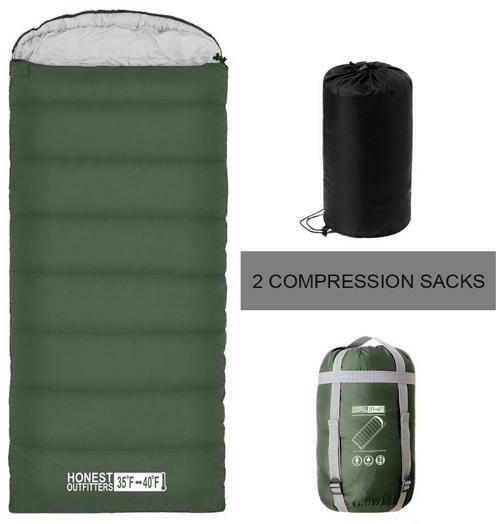 This sleeping bag includes a compression bag, and a bag for storage! Honest Outfitters gives you a 3 in 1 for your purchase. With dimensions of 32 inches by 87 inches by 4 inches and is machine washable. At only 3 pounds, this sleeping bag is super light and very easy to carry. Which Backpacking Sleeping Bag Is Right for Me? Buying a sleeping bag can be incredibly tedious and frustrating when you’ve got too many choices, and too much information at your disposal. This list can help you narrow it down, but if you’re still having trouble, take a few things into consideration. Are you claustrophobic or aggravated by small, tight spaces? In that case, don’t get a mummy bag! Choose from one of the envelope shapes; they’re designed for people who are taller or tend to move around a lot while they’re sleeping. It also gives you the option of pulling the blanket up around you if you do get too cold. Try the Travel by Outdoorsman Lab Envelope! Since it unzips at the feet, you’ll have plenty of room to adjust, and you won’t feel trapped in a tight space. What about people who do enjoy a snug fit, though? Well, that’s where the Mummy Bag happens to come in handy! Specifically, the Teton Sports Tracker Ultralight Mummy Sleeping Bag. Generally, people get cold in the upper body near the shoulders and chest, and down by their feet. Teton has added extra padding around the chest and feet to keep you warm round the clock. Additionally, this product includes a warranty, so if you decide you hate it, you can always get your money back. This product is recommended for those who enjoy a snug, warm fit throughout the night. If those two don’t really fit your needs, try the Honest Outfitters Sleeping Bag! As it is, a quality bag already costs quite a bit and doesn’t include the cost of straps, compression bags and storage. Luckily, this product comes with all 3! It won’t fall apart in your washing machine, and is durable enough to handle all types of weather. It’s roomy enough to fit those who are taller or have kids that like to squeeze into bed with them after a nightmare. For the environmentally conscious people out there, you’ll be happy to know that this sleeping bag does not contain goose down or animal products. So, vegans rejoice! 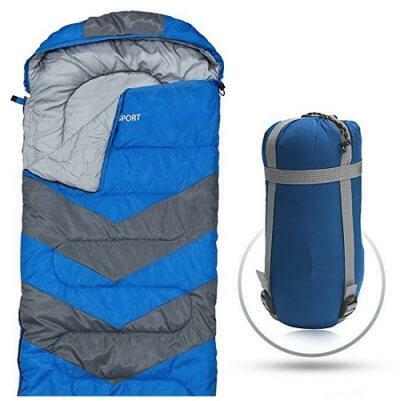 This sleeping bag is perfect for your needs while you go out and enjoy a long hike through nature. Take your time, and don’t rush to make a decision. Always remember that “you get what you pay for” with most products, and sleeping bags are no different. Going with cheaper options means you’re more likely to be dissatisfied. Lower priced sleeping bags tend to fall apart very quickly at the seams and aren’t as warm as advertised. Generally, sleeping bags in the $40 and up range work better and last longer. Stick to bright colors that can help others identify you in the woods or the mountains, and look for added features that help to make your hike more convenient. This is especially important if you are travelling with pets and children, you’ll be keeping your loved ones safe! Features that include extra pockets and bags means that you can carry more supplies like socks, water, first aid kits and more! The more money you put into your bag, the more you’ll get out of it!